We work with both AIM and MAPS teams from time to time throughout the year. 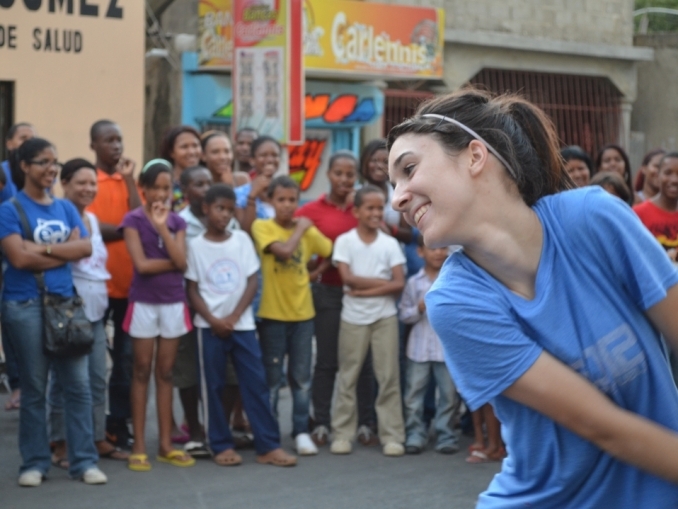 AIM teams are short-term missions teams made up mostly of teenagers. MAPS teams are short-term missions teams of adults or a combination of adults and teens. Please contact us if you are interested in bringing a team down to work with us. We would love to have you come! All AIM & MAPS teams that come must be registered with Assemblies of God National Offices. That process begins with a formal invitation from the missionary to the team (email us at jamie@bellos.org to plan a trip and receive that invitation.) AIM team leader, then go to http://aim.ag.org/getstarted.cfm to find more information about AIM and to download the AIM outreach packet in order to complete the paperwork and finish the registration with our Assemblies of God headquarters. MAPS team leaders, email us directly to receive instructions about your registration packet. For more information on what to expect and how to plan when bringing a team to work with us in the D.R., here is a sample of our set-up trip letter to team leaders. *Prices subject to inflation, Prices differ depending on ministry focus. Additionally here is a manual put together by our D.R. missionaries for teams called DR4Dummies. I will make slight adjustments to some items specifically with teams, but most of the information is right on and will be a great resource for you and your team members.